Not only can owned equipment be a liability for your company, but purchasing can also cost you in a big way. From price point to compliance concerns to technological advances, find out why renting construction equipment is better than buying. Whether you’re expanding your company’s scope with new types of projects or you’ve contracted some major work to start shortly, you’ll need the right equipment to get the job done. Buying equipment outright isn’t always the right answer, though. 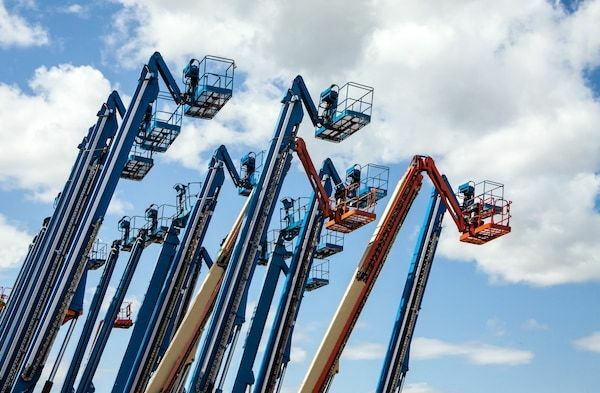 If you’ve already started to price out the lifts and loaders that your company needs, then you know that the cost of buying new construction equipment can be prohibitively high. A typical contracting company has to save for an extended period to afford to buy heavy construction equipment. Even if you do budget for such a major purchase, the transaction can make a big impact on company cash flow. Keep this in mind as you’re running the numbers and considering your options. After all, you don’t want to outlay the cash to purchase the equipment you need and find out that you can’t afford to make payroll on time. If your company can’t afford to pay the full price up front, you might be tempted to take on debt to finance your purchase. This can help you get the equipment you need more quickly, but borrowing isn’t always a smart decision. With interest charges, you’ll end up paying more to buy what you need. If you aren’t using that new equipment around the clock, the purchase price and interest payments might not add up. In contrast, renting equipment comes with a fixed monthly cost. This is much more affordable for most contracting companies. Since they buy equipment in bulk, rental companies have extraordinary bidding power. That means they can purchase loaders, backhoes, and skid steers at a lower cost than smaller construction companies could. When your rental company passes on its savings, you’ll get a much better deal on machinery. Your construction company can use the equipment it needs at prices that work with its project budgets. If your business considers purchasing equipment, you also have to factor in the cost of depreciation. That excavator might be shiny and new when it first rolls into your garage, but it loses value over time. The value of all machinery depreciates from one year to the next. 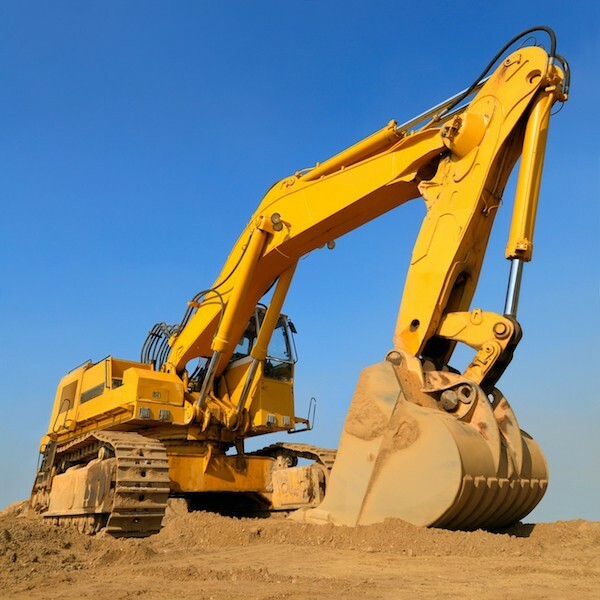 Since construction equipment undergoes a lot of wear and tear, it could lose value quickly. If you go to resell your equipment in the future, you could find that the value isn’t there anymore. You might have to sell at a price that’s much lower than anticipated, which could be bad news for your budget. The cost of depreciation can also have an unexpected effect on your construction company’s taxes. Your business could encounter additional financial losses and have trouble recovering your original investment. In contrast, when you rent, you can set aside any worry about depreciation. This figure doesn’t apply to rentals. Instead, your company can deduct rental payments as business expenses. This can amount to additional savings for your company. Also, banks and other creditors tend to consider major equipment purchases as liabilities. However, they don’t view rentals this way. That means renting equipment won’t harm your ability to borrow funds for land, property, or other business purposes. Renting also won’t impact your business’s credit rating nearly as much as a major purchase would. The cost of buying and owning equipment can be significant. As you’ll quickly learn, this is far from the only cost your company should budget for. When you own, the cost of insurance can be huge. You have to insure each machine for theft and damage. If your company is on the small side, you might not have much negotiation power with your insurance company. This can mean high premiums and added cost. When you buy equipment, you also have to pay to maintain it. This can include annual tuneups as well as unplanned repairs. In fact, it can include any number of issues and expenses. If your machinery breaks down often or if you have a large inventory, the costs can add up quickly. In contrast, when you rent skid steers and backhoes, you don’t have to pay these extra costs. Instead of charging insurance and maintenance separately, most rental companies include these costs as part of a package rate. Maintenance and insurance aren’t free, but you can get them at a steep discount from your rental company. Some companies train their teams to do tuneups to save money on maintaining owned equipment. When you rent, however, you don’t have to worry about doing maintenance yourself. Instead, you can leave this job to the pros. Rental companies usually handle all repairs and maintenance in-house. That means your team can take tuneups off their to-do lists. When you work in construction, logistics can be a constant struggle. From keeping jobs on schedule to securing the right permits, each job has tons of moving parts. Most contractors don’t need yet another issue to deal with. However, when you own machinery, you’ll have to handle those logistics, too. Moving equipment from one job to the next isn’t easy. Depending on the size, you may have to rent tractor-trailers and even get wide load permits. 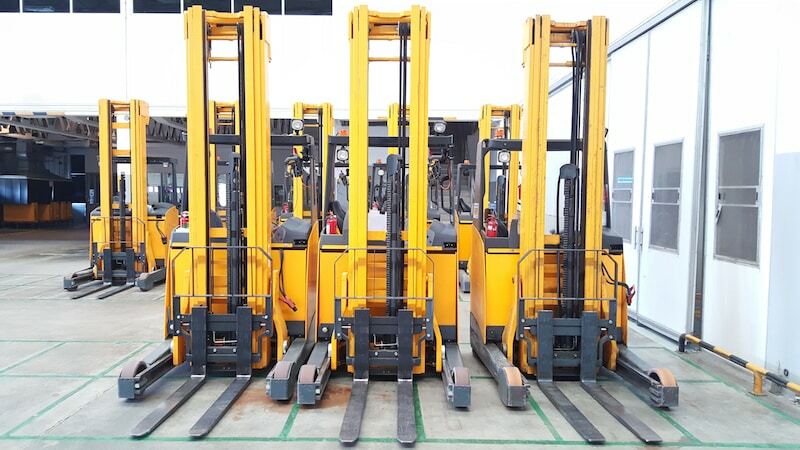 You’ll also have to pay personnel for loading and offloading equipment. All of this takes extra time, money, and planning. Finishing a big job is a good feeling. But if you have to arrange to move machinery from the project site, the extra work can be a headache. When you own, you’ll also have to store your equipment. If you don’t have room for storage, you may have to pay to rent secure warehouse space to keep machinery safe and out of the elements. Keep in mind that not just any storage spot will do. If you spend thousands of dollars on construction equipment, you need high-quality storage to keep your property in optimal shape. If all of this sounds like a hassle, you should consider renting equipment instead. Rental companies typically include the cost of transportation and storage in your monthly rate. That means you already know how much to budget before you even start the project. You won’t rack up surprise fees for storage or transportation. Also, rental companies handle the logistics for you. You don’t have to track down a tractor-trailer or find a storage location because it’s already under control. Just specify the right start and end dates for your rental, and the company will deliver and pick up the equipment right on time. When you work in construction, you become an expert at thinking outside of the box. Every day brings a new set of problems, and you have to have the tools to solve them. At the same time, you also have to know how to follow the rules. No matter what type of construction your company does, you need to know federal and local building codes. These rules keep your projects safe, ensure happy customers, and decrease your liability. Construction equipment also has its set of rules. In fact, it’s subject to federal and local regulations. If you own machinery, your company is responsible for making sure it complies with the law. That means you might have to hire a dedicated compliance manager, train a team member, or contract an expert. Managing compliance can be costly and could cause yet another hassle for your company. However, making sure that all of your equipment follows the rules is essential. If you don’t pay attention to equipment laws, you could end up spending even more. In contrast, companies that rent equipment can leave the rules to the experts. You can rest assured that anything you rent meets the right standards. Rental companies have to make sure each piece of machinery meets emissions standards and stores fluids the right way. Letting a pro handle compliance can be a huge weight off your shoulders. Taking this route allows you to stick to what you do best instead of adding more paperwork to your docket. Buying equipment takes commitment. If you invest in machinery, you want to keep it for many years to come. That means you need the newest and best equipment. Heavily used equipment might be cheaper, but it won’t get the job done properly. Instead, you need cutting-edge technology that makes the job faster, easier, and safer. Also, buying equipment means you have to budget for upgrades. If you don’t, you’ll have to keep using the same old machinery even when it’s obsolete. In contrast, renting equipment usually means you get the latest equipment with the newest upgrades. Rental companies typically offer equipment that’s only a couple of years old. When you rent, you can rest assured that you’re getting the newest machinery that will help your company move forward. Whether you want to save money, limit your liability, or get the newest machinery on the market, renting is a smart decision for your business. From forklifts to excavators to backhoes, BigRentz has all the heavy machinery you want, right where you need it. Call BigRentz at (888) 325-5172 and get the construction equipment you need to do the job right every time.